Home health aid is inclusive of both personal care assistance and homemaking services delivered by certified HHAs to support patients at home. 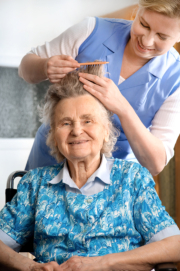 Home health Aides can provide fundamental aid that is vital in maintaining a sustainable living setting where patients can stay comfortable and safe while undergoing recuperation. They are supervised by RNs and help relay patient information to the physician through documentation and update of records. Talk to us about your HHA plans today.